A template is an individual copy of the artwork stored in the library. This artwork can be reused in different scenes. Once a template is stored in the library, you can access it from any project, as many times as needed.Dragging a template into your project copies the content in it. It does not link it to the original, which means you can modify this individual copy. 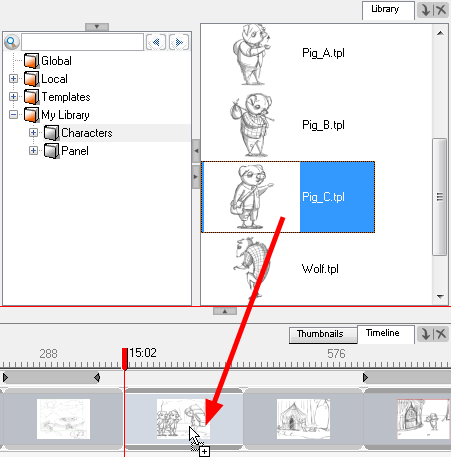 You can insert layers and panel templates into the Stage view. 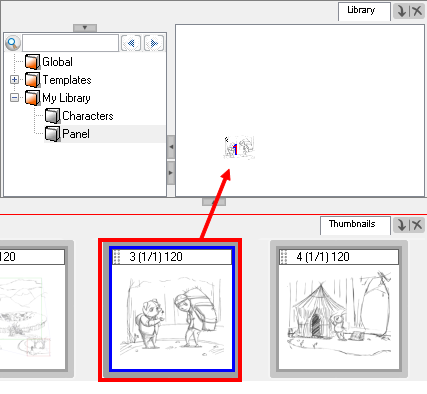 ‣ If you drag a template of an entire panel into a selected panel, it will add all the content of the template into the existing selected panel. 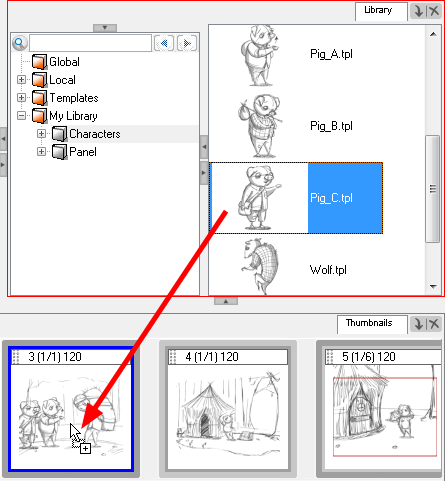 You can insert layers and panel templates into the Thumbnails view. 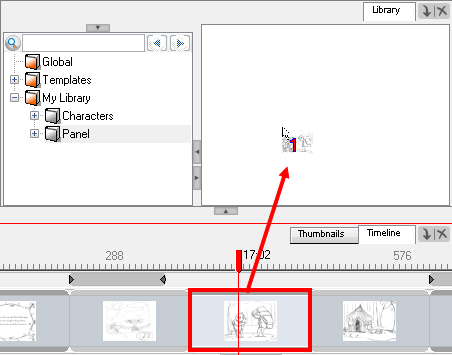 You can insert layers, panel, and sound clip templates into the Timeline view. ‣ If you are inserting a sound clip template, drag the template into a sound layer in the Timeline view.